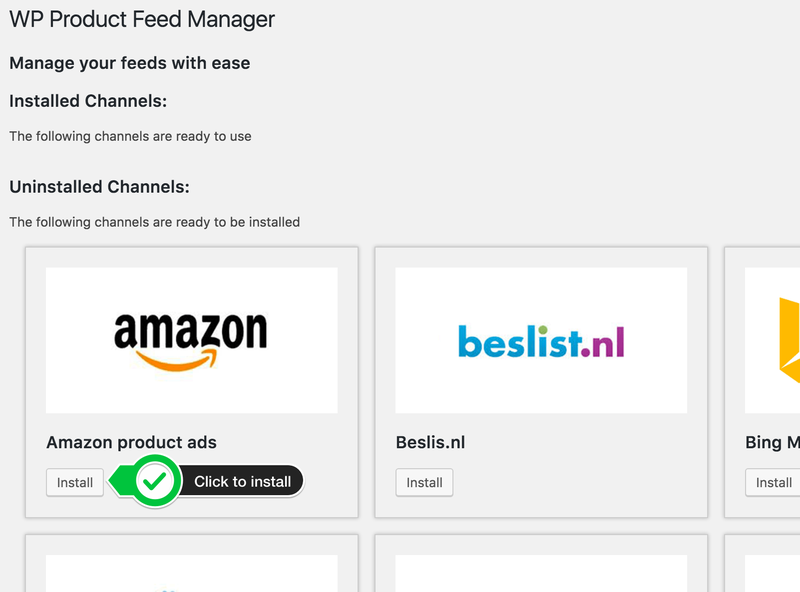 Before you can start building a product feed you will need to activate the channel template you would like to create a product feed for. In the Google feed manager plugin this is already done and you can skip this step. To create your first feed click the “Feed manager” link in the Feed manager menu. You will see the Feed list where you can Managing your feeds. When you start this list will be empty. Click the “Add new feed” button. After clicking the button the screen will show you a form where you can enter details about your feed like filename and the channel template you want to choose. 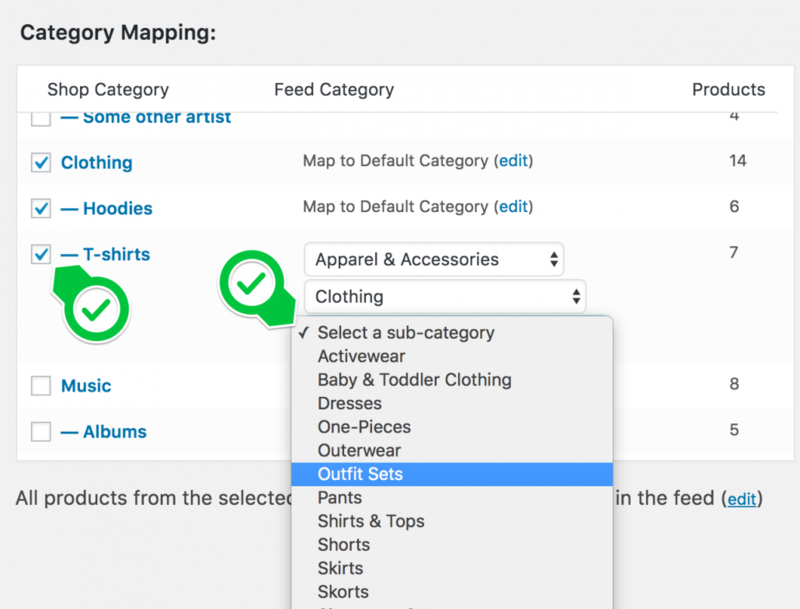 After you have selected the channel more fields will show up where you can enter even more information like Target country, Default category, include product variations and on the right the category mapping section. Enter the basic feed settings like name, channel and country. After mapping your shop categories you can select the checkbox “Include Product Variations”. 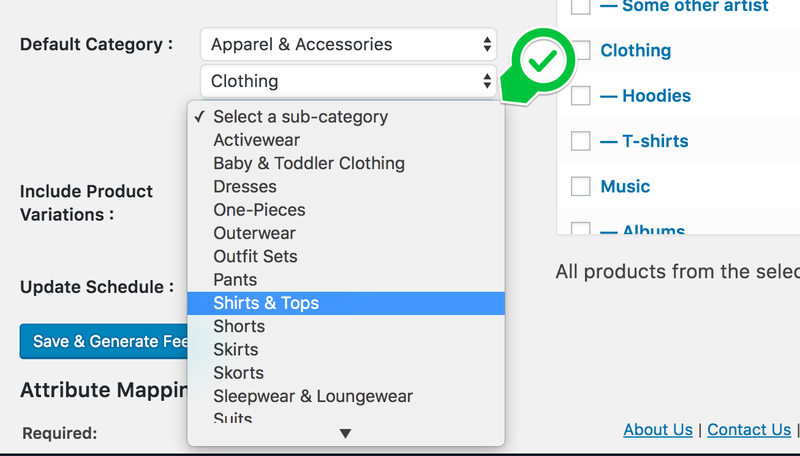 When you select this your product variations will be included as separate products in your product feed. The plugin will also make sure that the url to the product variation will show the user the chosen product variation without the use of an additional plugin. With the advanced Filters you are able to filter products from your feed based on values from product source fields. This way you are able to exclude products with a certain id or sku number but also product with a price below a given amount. This way you can exclude products that will not be profitable. When you’re done with the setup of your feed and have mapped the attributes your ready to save and generate the feed. The feed will be saved and generated on your server. You can now go further with editing or click the Feed list button and open the feed list page where you will find the feed. In the list you see details about the feed like amount of products, status and four actions you like edit, view, delete and activate. When you click on view the feed will be openend in a new browser screen where you can check the feed. The url of the feed you can use in your channel.